Do you feel bloated or nauseous after eating a meal? Do you feel uncomfortable in the belly and start burping after you eat? For the next hour after eating are you cursing yourself for over eating? Many of us do in this busy world that we live in. We eat too fast, we eat standing up, we eat doing other things, we have kids (need I say more about that!!) and often we are feeling stressed or under time pressure. I found this information that I had written when I was studying Naturopathy and thought to myself I really should take my own advice when I am eating!! I then thought, I should share this information with you. So here goes. Digestion starts before food hits your mouth! By touching, smelling and cooking your food your digestive juices in your mouth are stimulated and this sends signals to the rest of your body to prepare for incoming food. Sit down, relax and take your time when you eat. Avoid leaving the table during the meal and try to sit and relax for at least 10 minutes after finishing your meal. Don’t be distracted by doing other things. Don’t work, read, watch television, be on the computer or mobile phone or eat on the run as these activities stimulate our sympathetic nervous system (fight or flight response) drawing blood away from digestion and the stomach, leading to decreased digestive capacity and an increase in those uncomfortable digestive symptoms. Eat when you are feeling relaxed. Don’t eat when you are stressed; try and take 10 minutes of relaxation or quiet time before a meal to try and relax if you feel stressed. Chew your food well. Mindfully eat your food. Chew every mouth full about 30 times as this will ensure adequate secretion of digestive enzymes and therefore adequate breakdown of food for absorption. It takes approximately 20 minutes for our brains to receive the signal of satisfaction during a meal, so chew your food slowly! Drinking with meals waters down stomach acid and decreases absorption and breakdown of foods. Avoid black tea, coffee, alcohol, carbonated beverages and smoking as they interfere with digestion. Avoid eating heavy meals at night as our digestive capacity is at its best between 7am and 11am in the morning and it’s worst between 7pm and 11pm in the evening. So eat your main meals for breakfast and lunch or have an early dinner. Fruit should be eaten 30 minutes prior to a meal as fruit digests quickly; however if it is eaten at the end of a meal its digestion will be slowed down and may result in fermentation which can lead to passing of wind and gas. 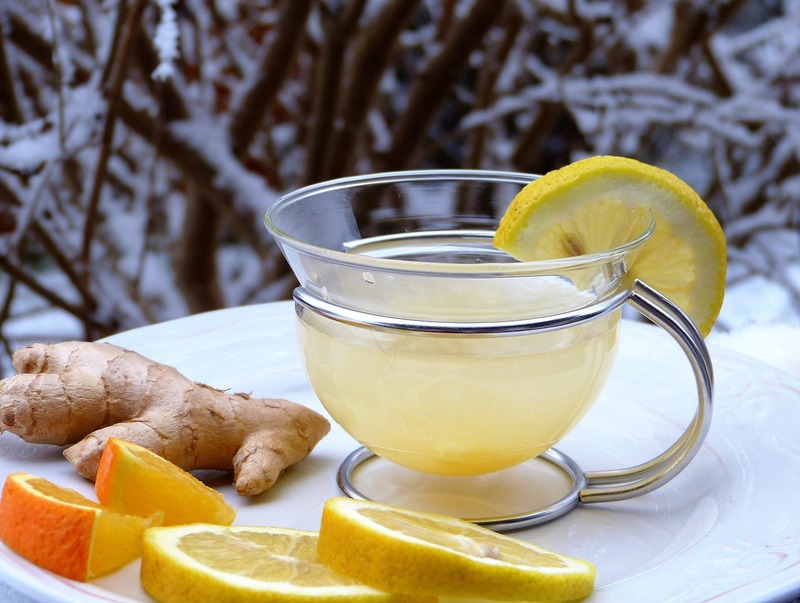 Drinking teas like ginger, fennel, chamomile, peppermint, lemon balm and lemon juice and apple cider vinegar can improve your digestion, create warmth in your gut and help with your digestive symptoms.